Finding a painting contractor in your area can be difficult, especially if you aren’t aware of any reputable companies near your home. Fortunately, if you are located in Bakersfield or the surrounding areas of California, you’re in luck! 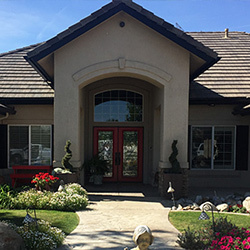 In fact, the painting experts at Steve Holloway Painting have more than 35 years of experience in producing beautiful results for homeowners throughout Bakersfield. That’s why, in today’s article, we will be talking broadly about our entire offering of services, so that you can get a better idea of how we can help bring your home to life! From interior and exterior painting, to power washing and staining services, we know that you will be pleased with all that we have to offer. We are committed to our customers’ satisfaction, which is why we have a number of photos from our past painting renovations located directly on our website. Learn more about some of our many services offered today by reading more on the subject below. 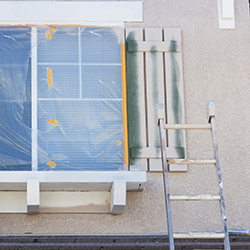 We believe that no painting project is truly complete if the proper steps were not taken to ensure that your home looks as new as the day that you purchased it. For this reason, our painters at Steve Holloway Painting conduct a complete preparation before painting your home’s walls and ceilings. In fact, if there are certain areas of your home that have become damaged, we will even make small drywall repairs so that your home can be painted with ease. Similarly to our interior painting services, we take extreme care in preparing your home’s exterior for a few fresh coats of paint. From power washing your entire home to recaulking every window, door, corner, and crack on your home’s exterior, we do everything in our power to make your home look immaculate from start to finish. Not to mention, many of our exterior painting projects include anywhere from a one- to three-year warranty for your peace of mind! 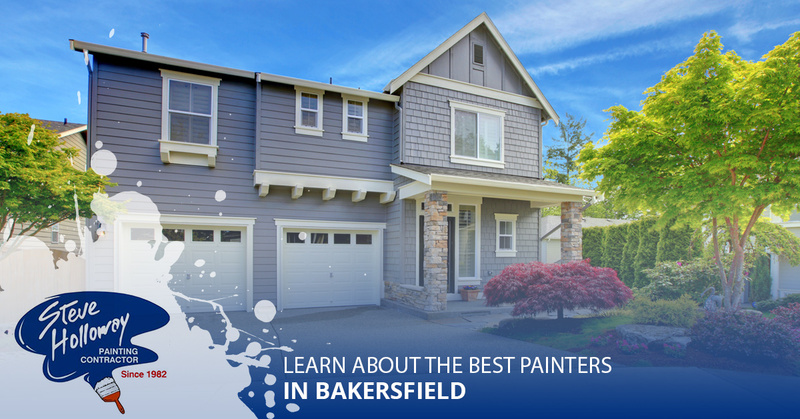 Although we primarily offer the best painting services in Bakersfield, we also provide homeowners with high-quality cabinet and deck staining services! For example, if you plan on having your new cabinets stained, we stain, seal, sand, and apply multiple finish coats so that your cabinets maintain their luster for years to come. However, if you are simply wanting to have your kitchen cabinets refurbished, we can sand, clean, oil, and revarnish those as well! These are just a few of the many ways that we can help to add considerable value to your home. 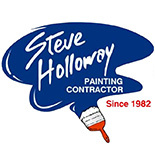 If you are considering repainting your home’s interior or exterior, don’t just choose any painting contractor, choose Steve Holloway Painting: the best painting contractors in Bakersfield! 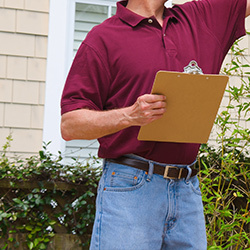 If you have any questions or concerns regarding our wide range of painting and staining services, or if you would like to receive a free estimate on an upcoming painting project, give our friendly staff a call today at 661-335-6044 or visit our website and complete our contact form! We look forward to working with you!